Today, April 15th at 9am EDT, you will be able to buy Google Glass. Google had last week announced its plan to open up "...a limited time chance..." for ordinary everyday people "...to join the Explorer Program." While announcing the plan in a blog post last week, Google had said "Every day, we get requests from those of you who haven’t found a way into the program yet, and we want your feedback too." Google Glass have not been commercially available before now; it's been available only to Google Glass Explorers — in other words, only through a very limited beta-testing program. Now, Google is opening up the program and ordinary people will be able to get the Glass for a specific price. 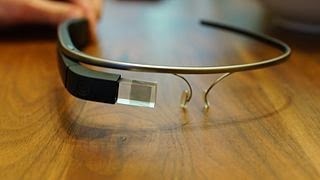 Google Glass is a wearable computer with an optical head-mounted display (OHMD). It was developed by Google with the mission of producing a mass-market ubiquitous computer. Google Glass displays information in a smartphone-like hands-free format. Wearers communicate with the Internet via natural language voice commands. In other words, you only need to give a command to it with your natural voice and it responds to what you require of it. Thus, you can browse the web with it, you can create stop motion videos with it, take sneaky photos — hell, you can do just about anything else with it, just by giving out commands to it with your natural language voice. Although Google is today opening up the program to ordinary folks, however and rather unfortunately, the company says only folks in the U.S. will be able to get the Glass for now at $1500 + tax. 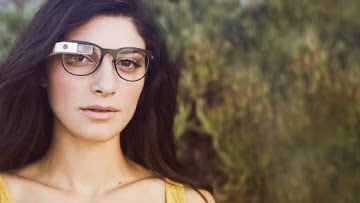 Google has apologized to everyone else, saying it's "just not ready yet to bring Glass to other countries." How to get your Google Glass? To get the Glass, you need to be at least 18 years old, and you need to be a U.S. resident with a U.S. shipping address. Then, go to this address today, April 15, at 9am ET. Be fast, as the number of spots available is limited. You can also sign up for a reminder at the same address. We can only wait on Google Inc as it readies itself to ship the Glass out to other non-U.S. countries in the near future. We hope we do not get to wait too long for that. Stay tuned, folks!